Our School is Christian Japanese Pre-School. Our Pre-School will focus on reading, writing, math, music, and exercise (Zumba Kids Jr.) all taught in Japanese Language. 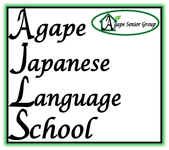 This academy will be held 2 hours per day, and will focus solely on/and with studying Japanese Language. Christian songs, short prayer lead by Sensei, and thankful meal song prior to snack time will be included in curriculum. Parents can choose from 1 to 3 days per week, and can choose Mondays, Wednesdays, and/or Fridays. CALL TODAY TO RESERVE YOUR CHILD/CHILDREN'S SPOT!! You can register ONLINE below.